David had a beautiful daughter called Tamar. Tamar is the sister of Absalom and half sister of Amnon. It happened that Amnon fell in love with his half sister, Tamar. Amnon wanted Tamar very much but he couldn’t think of a way to be with her alone. Amnon had a friend named Jonadab who knows how to get everything he wanted. Amnon went to lie down on his bed and pretend to be sick. When David comes in to see Amnon, Amnon asked him to send Tamar to him. 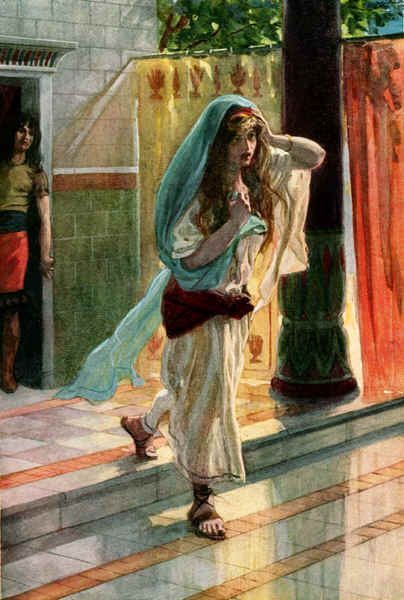 So David sent his daughter, Tamar to Amnon’s bedroom. When Tamar arrived, she made the dough and baked the bread for Amnon. After that Tamar served the bread to Amnon but Amnon doesn’t want to eat. Amnon was stronger than Tamar so he overcame Tamar and raped her. It is a custom that the king’s unmarried daughter wears long robes. Tamar tore off his long robes and put ashes on her head. Then she covered her face with her hands and wailed loudly as she walked away.